Summer is nearly upon us and we couldn’t be more excited to get out into the great outdoors. This last winter felt extra long, so the idea of hiking, camping and just playing in the grass sounds pretty amazing right about now. However, all that time outside also means more exposure to creepy crawlies like spiders. And nothing’s worse than an arachnid bite, y’all. Now, everybody’s been bitten by spider or two in their day (there are over 50,000 species of them roaming God’s green earth, for crying out loud) and most of us don’t run to the hospital every time we get nibbled, but that doesn’t mean some bites aren’t painful — and potentially dangerous. According to healthline.com, symptoms of a poisonous spider bite include swelling at the puncture site, itchiness, redness, sweating, difficulty breathing, headache, nausea and vomiting, fever, chills, anxiety or restlessness, rashes, swollen lymph glands and high blood pressure. If you experience any of the above symptoms after receiving a bite, you should seek the care of a professional immediately. Call 911 if you or someone you know is showing signs of full-body shock or having trouble breathing. Scared yet? Don’t be. Most spider bites are nonvenomous and harmless — though itchy and annoying — and can be treated at home with a few simple steps. Since spider bites can cause damage to the skin and take a bit of time to heal, keeping the area clean and free of infection is especially important. Obviously, the best way to treat a spider bite is to avoid getting bit by one in the first place. Avoid areas in which spiders dwell and if your path crosses a spider’s web, be careful not to disturb it or provoke the spider. Be extra cautious when using an outhouse — spiders often find refuge in the lowly outdoor commode. But you probably already knew that if you’ve ever seen the 1990 film Arachnophobia starring John Goodman. The United States is home to three types of poisonous spiders that should be avoided. Bites from any of these three spiders should be evaluated by a medical professional. The black widow spider is easy to identify because of its black shiny body with red- to orange-colored markings visible on its underside. This spider lives in dark places such as trash cans, attics, closets, and woodpiles and is found in parts of California and southern parts of Canada. Black widows have also been known to hitch a ride with shipments of fresh fruit and make an appearance in other states and other Canadian destinations. Although death via a black widow spider bite is uncommon, its bite can be serious. A black widow spider’s venom is classified as a neurotoxin, according to livescience.com, which means it is poisonous to the nervous system. Once bitten, the victim will notice a painful pale area of skin surrounded by a red ring. Although most reactions to a black widow spider bite are not severe, medical attention is paramount if breathing is compromised and muscle cramps develop. 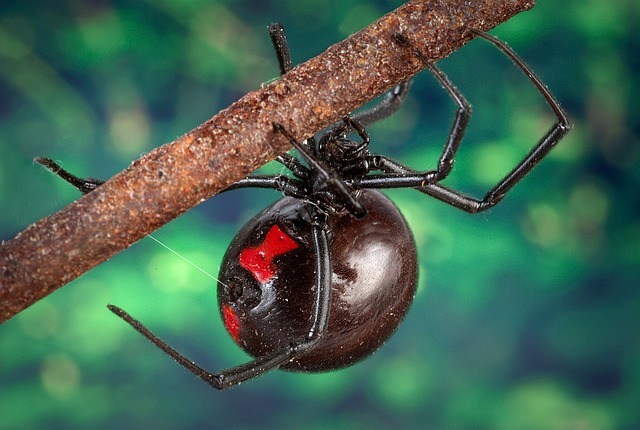 Young children, the elderly and individuals with high blood pressure are more prone to develop severe adverse reactions to a black widow bite. The brown recluse grows to a half-inch in length and its body is light brown in color. 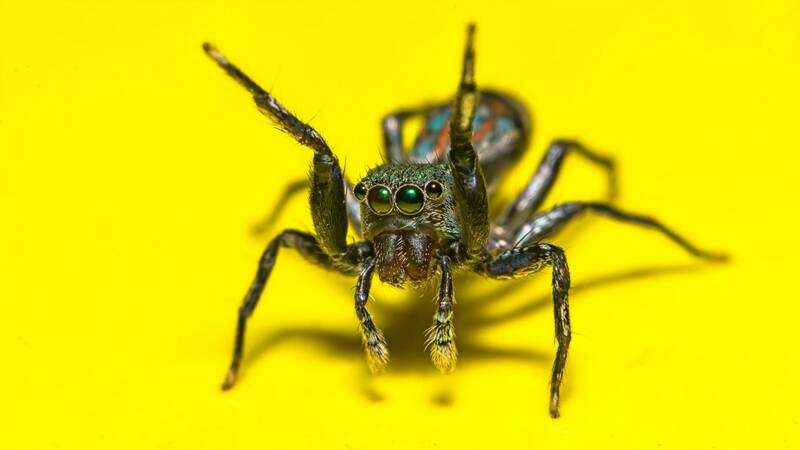 It’s often referred to as the violin or fiddleneck spider because the markings on its back resemble a violin. This spider is native to Oklahoma, Kansas, Texas and Mississippi but can surface anywhere thanks to modern transportation. The brown recluse spider prefers dark, quiet surroundings and doesn’t venture out into open areas very often. 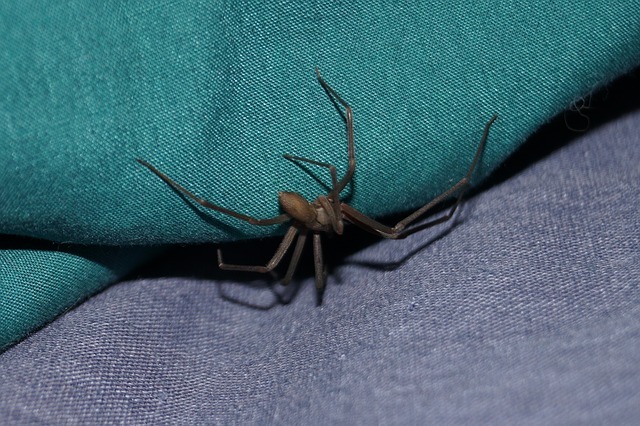 A brown recluse is usually not aggressive, and will only bite if it is trapped against your skin, according to healthline.com. The venom of a brown recluse spider causes necrosis — essentially a breakdown of skin and tissue — and the bite will leave a wound resembling a bull’s eye; a red ring with a blister in the center. In some cases, the ulcer will get larger and affect the underlying skin and muscle tissue and be accompanied by severe pain. 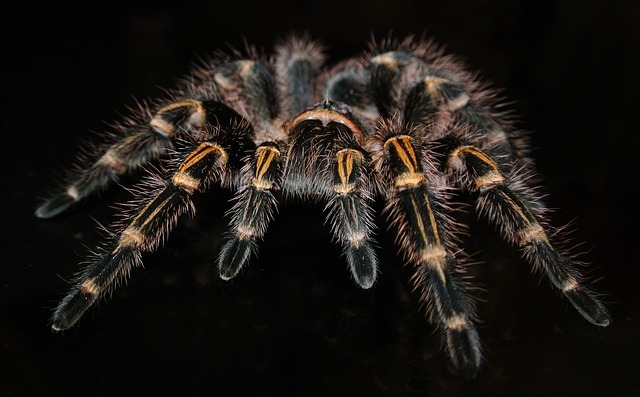 Tarantulas can be identified by their large size (from 3 to 5 inches long), hairy texture, and visible fangs that hang down. In other words, they are freaking scary. Like the brown recluse, tarantulas aren’t aggressive, and the venom of the spiders found in the United States isn’t considered dangerous — their bite will feel like a bee sting, says healthline.com. Even though they are fairly harmless, it’s still recommended that you seek a professionals care if you are bit by a tarantula. Originally published June 2009. Updated May 2017.